Manoranjan Mohapatra, CEO, Mahindra Comviva speaks with Zia Askari from TelecomDrive.com about the company’s key focus areas and future growth plans. 1. How does Mahindra Comviva look at the segment of enabling payments through mobiles? What are some of the technology innovations that the company is bringing to the market? Mobile payment is yet to rise as a mainstream alternative to other forms of banking. For this, co-creation is imperative for banks and operators to work together to create a new market paradigm and ensure high level of consumer satisfaction. Understanding the specific needs, we have architected solutions based on the multiple segments that exist in the market today, both on the issuing as well as the acquiring side. Mahindra Comviva’s mobiquity Money is designed to address this need by integrating customer touch points with a wide ecosystem of banks, billers, merchants and third party payment systems. 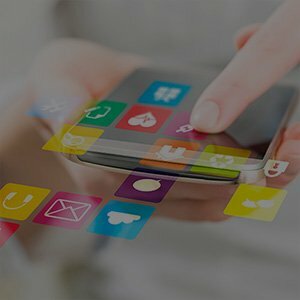 mobiquity Money transforms the way customers in such markets save, borrow, transfer and spend money, with expanded access to micro-financial services such as savings, loans and insurance; businesses can credit salaries while governments can disburse cash subsidies, relief aid and make other bulk payments. Mahindra Comviva’s mobiquity Wallet has coupled the flexibility of design with the ability to support the latest in technology to orchestrate a seamless mobile experience- for banks, telecom operators and retailers. It is a secure, easy to use and feature-rich digital wallet. On the acquiring side we have the SMBs and Large Format Retailers. Each of these user segments have distinctly different needs and we have created solutions keeping in mind the environment that these entities exist in and their needs. Mahindra Comviva payPLUS offers an integrated payment solution by serving consumers who prefer the convenience of cards. 2. How can mobile driven commerce push the idea of financial inclusion and what role can be played by Mahindra Comviva? Mahindra Comviva is committed to accelerate the adoption of digital commerce through its comprehensive portfolio of solutions catering to the entire ecosystem. Our mobile financial suite of products powers over 120 mobile services in 55 countries and serves over 750 million mobile users globally. Mahindra Comviva has been recognized and bestowed with the prestigious Meffys 2014 Awards for effectively promoting financial inclusion amongst under-banked Zimbabweans. Econet’s EcoCash$ave powered by mobiquity Money has been launched to address the latent demand for an affordable savings product and to improve cash inflows into the network. Currently, 1.5 million customers have opened an EcoCash$ave account, outnumbering the total depositors, 900,000, in all commercial banks. 3. Where are the big growth opportunities for the company today? How does it look forward to realise these opportunities? Increasing penetration of mobile phones, combined with their ease of use, has enabled markets to evolve beyond basic financial inclusion to offer a full range of integrated services. With RBI soon to announce Payments Bank licence it is expected to be a game-changer and pave way for expansion in digital financial inclusion in the next 2-3 years. At Mahindra Comviva, we believe in providing an ecosystem which provides a secure experience to the end consumer. We have understood the complexity of mobile payments and simplified the process, for instance, our mobiquity Wallet is designed to facilitate end-to-end HCE offering to launch NFC payments. 4. What are some of the challenges that the company is looking at today? And how do you plan to solve your challenges? Aside regulatory issues, there are two different type of challenges and technological aspects to push the increase in the retail acceptance of mobile payments. In developing markets, Large and SMB merchants, need to have the ability to accept card payments through POS terminals. Thats where mobility solutions came into play in the market, and we’ve seen a huge shift in how people are paying. In the next 2-3 years, we expect the 1 million merchants that accept cards to increase to 2.5-3 million driven by the mobile commerce market.